Got a free racket from committee. Maybe reason to play again ? 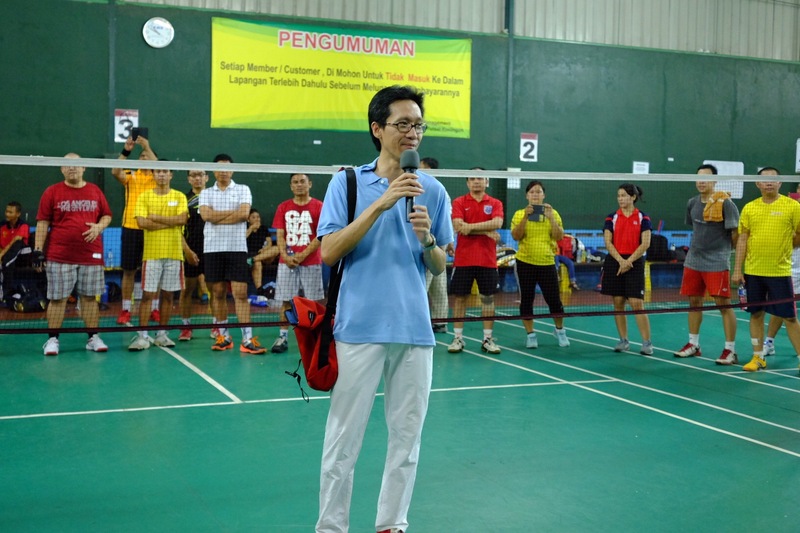 I was asked to open the HSBC-BER Staff Badminton Tournament his morning. 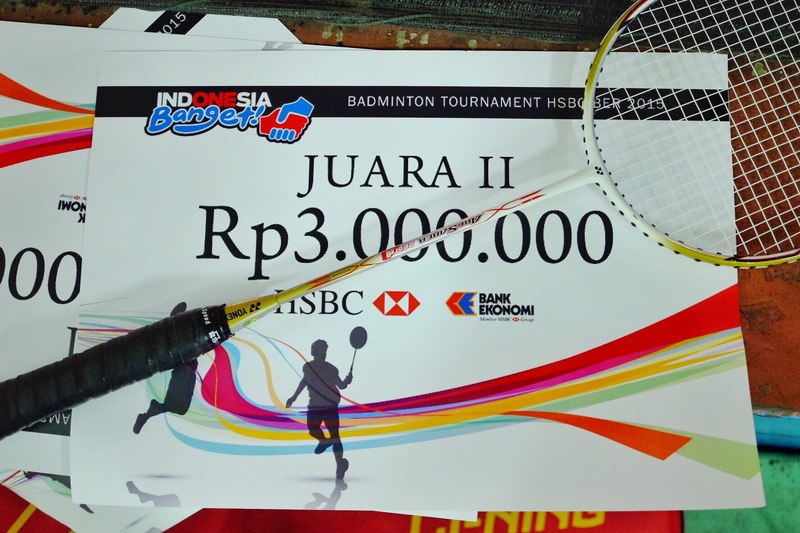 This is the combined event between HSBC Indonesia branch and Bank Ekonomi staff. 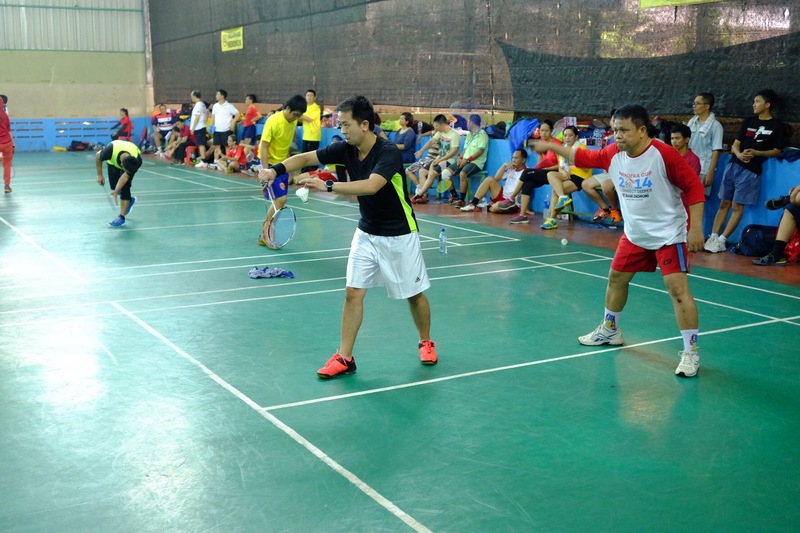 96 players turned up and the day was full with competitive matches. 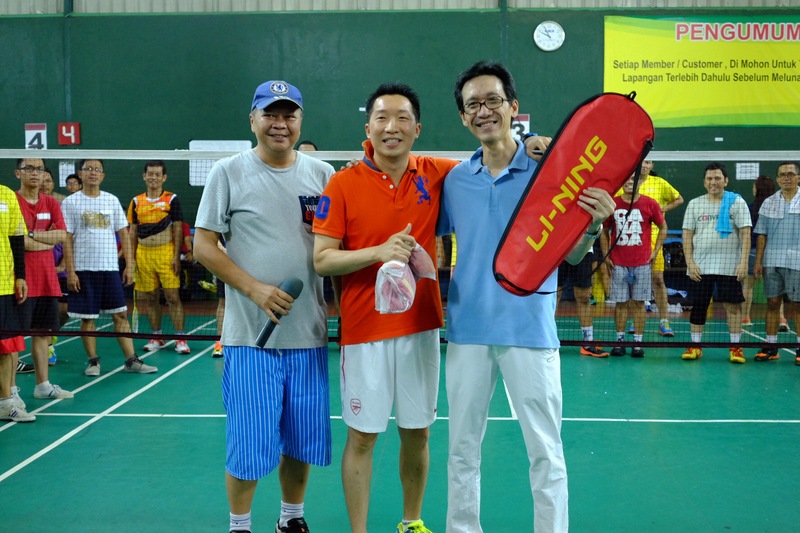 I also got chance to recollect my badminton skills (which had not been used for many many years) by playing an exhibition game against HSBC executives.